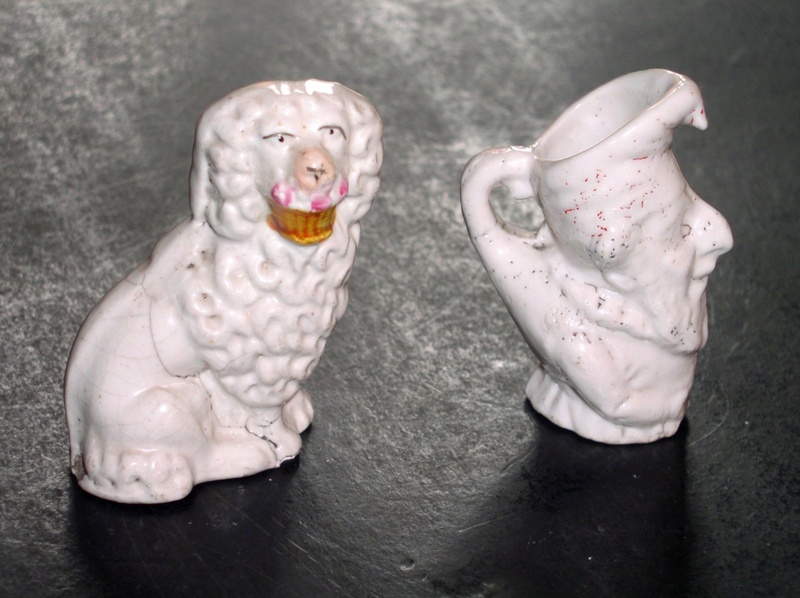 Unusual White Dog & Small Old Man Miniature Man Jug???? 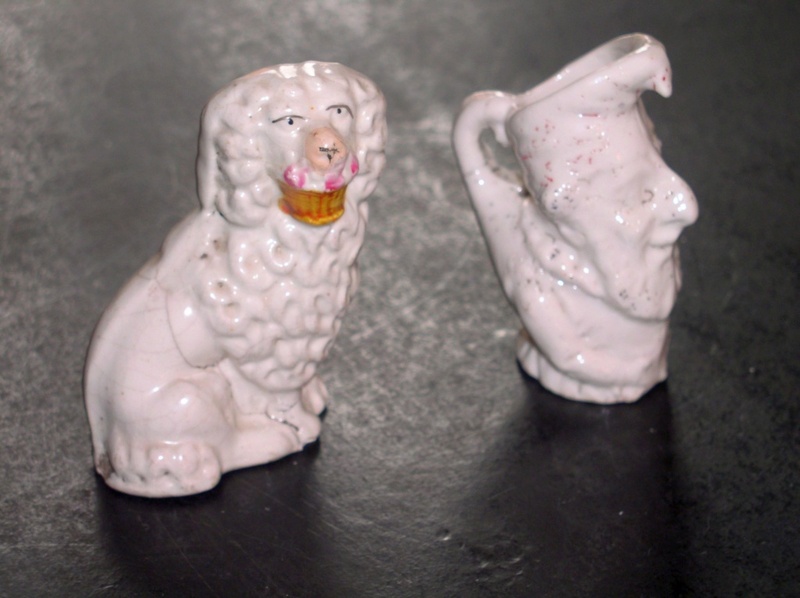 Re: Unusual White Dog & Small Old Man Miniature Man Jug???? Any impressed numbers at the back ? 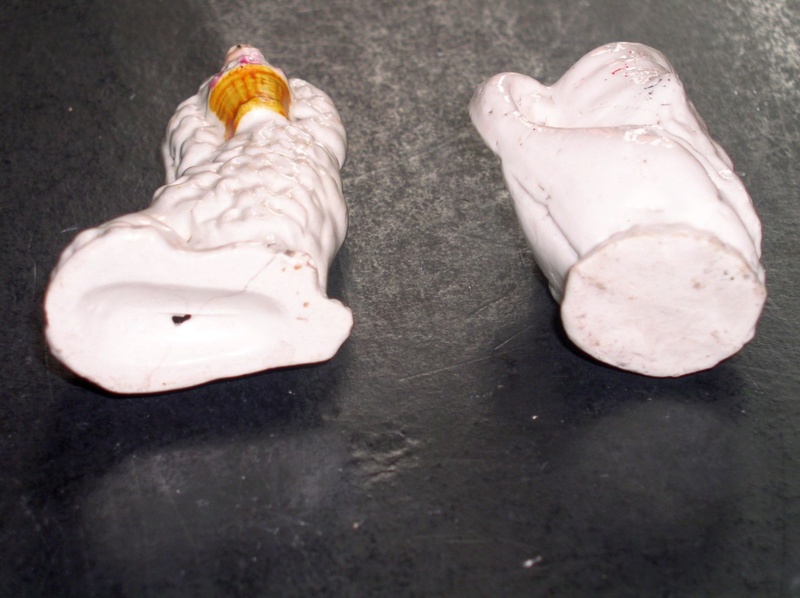 With them being small I wonder if they might be cake decorations? Or prizes inside Christmas pudding?